Railpictures.ca - Michael Berry Photo: A late CN 149 is crossing the Lachine Canal with CN 2652 & CN 2409 for power on a frigid day after Montreal received a large snowstorm. | Railpictures.ca – Canadian Railway Photography – photographie ferroviaire Canadienne. 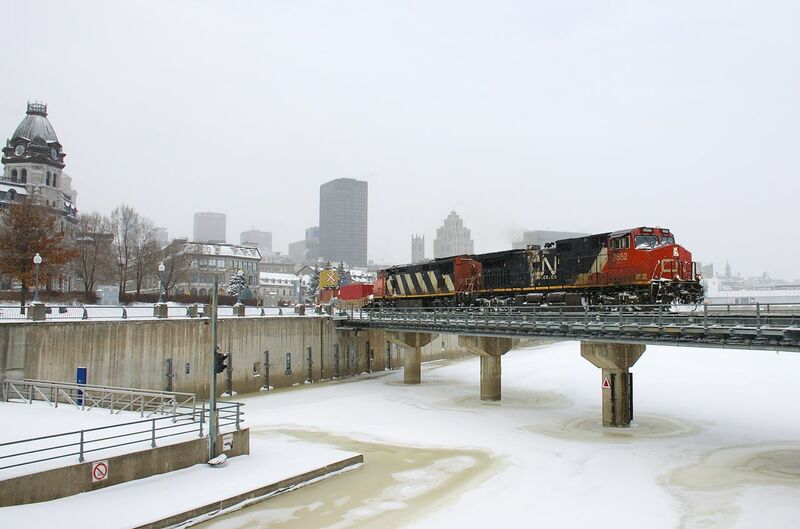 Caption: A late CN 149 is crossing the Lachine Canal with CN 2652 & CN 2409 for power on a frigid day after Montreal received a large snowstorm.